Germany is well-known for its beer culture with Munich being home to the long-running Oktoberfest and the world-famous Hofbräuhaus beer hall, both of which attract millions of beer-guzzling tourists each year. However, attending Oktoberfest is not the only way to join in on some sudsy Bavarian fun and there are plenty of other German festivals and ways to experience beer in Bavaria. Hofbräuhaus is the world’s most famous beer hall and one of the oldest beer halls in Germany, regularly packed with rowdy tourists (and brave locals) throughout the year. 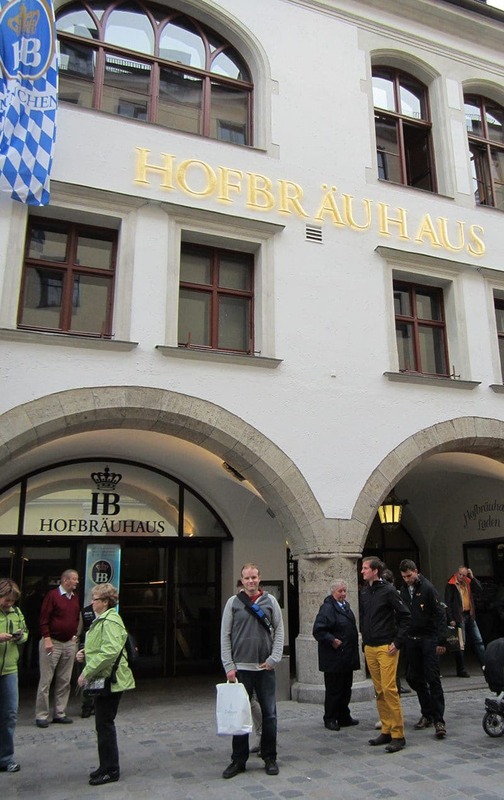 A pilgrimage to the Hofbräuhaus is worth it, but we suggest that there is more to experience at this famous site than simply drinking beer and eating sausage and we’ll share how you can learn more about the beer culture in Germany here. To get away from the tourists, we suggest that in addition to the popular Hofbräuhaus that you also seek out some other beer halls in Munich and for some more authentic and traditional beer-laden celebrations, head outside Munich to one of the local folk festivals. Ready to plan your trip to experience beer in Bavaria? We’ll share a bit of history about the popular Oktoberfest, tell you about our visits to the Hofbräuhaus as well as other Munich beer halls and beer gardens, and introduce you to some less well-known German beer festivals. Most people don’t know that Oktoberfest is a festival that originated in 1810 as a celebration for Crown Prince Ludwig’s (later King Ludwig I) marriage to Princess Therese of Saxe-Hildburghausen. It is a 16-day festival running from late September to the first weekend in October. In Germany, it is often simply called Wiesn, after the colloquial name of the Theresienwiese fairgrounds where the official event originated and continues to be held each year. Currently only six breweries can officially participate in the Munich Oktoberfest, one being the famous Hofbräu beer. Oktoberfest is actually technically a folk festival, not a beer festival, but is now associated more with beer, sausages, and traditional Bavarian culture than the royal marriage. It has become one of the world’s largest festivals and is celebrated not only in Germany, but in many other parts of the world as well. The United States has particularly embraced Oktoberfest and while the official German celebration runs from late September to early October, Oktoberfest generally goes strong throughout the month of October in the United States at bars and restaurants. We Americans apparently love to import festivals such as Oktoberfest and Ireland’s St. Patrick’s Day that give us a reason to drink more beer (German, green, or otherwise). Hofbräuhaus (Address: Am Platzl 9, 80331 Munich; hours 9:30am to 11:30pm [9:00 – 23:30]) is the most famous beer hall in the world and one of the oldest, tracing its history back to 1589 with its founding by Wilhelm V, Duke of Bavaria. Originally it brewed beer exclusively for the royal court, hence the name Hofbräu meaning “court brew”. It has become one of the largest and most famous attractions in Munich. While you will inevitably be primarily surrounded by fellow tourists-—some dressed up in lederhosen and dirndls-—there are a number of loyal regulars of this historical place and many local groups have reserved tables and some folks even keep their beer steins locked up in the brewery’s stein safes (you can view these in the downstairs hall). 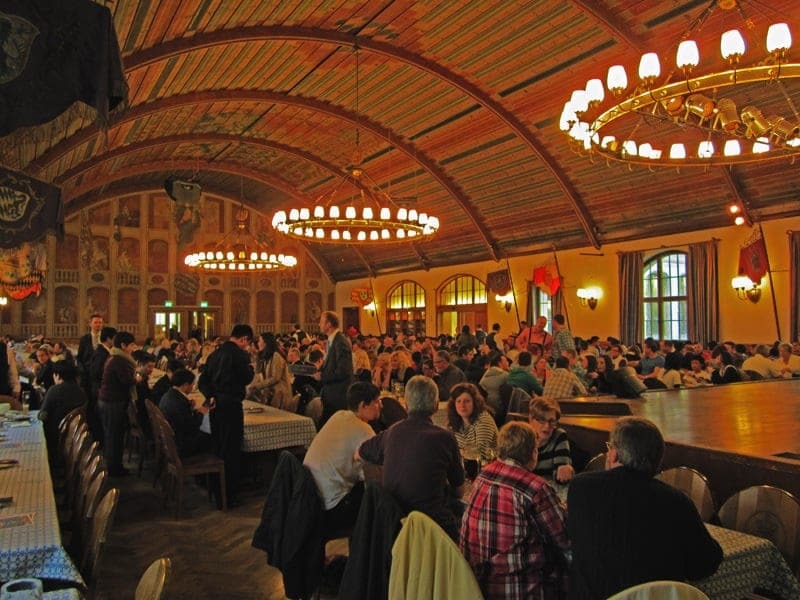 The place is huge and you have the options to drink or dine in Schwemme (first floor giant hall), Bräustüberl (a more restaurant-like setting), the Festival Hall (upstairs giant hall), or outside in the beer garden. Entertainment such as music and dancing, including a oom-pah band, is available daily in the afternoons and evenings in the halls. Go early if you want to avoid crowds, particularly during holidays and the weekends. Reservations are not necessary unless you are in a large group. You may be a bit surprised by the range of food and drink options, we certainly were. Hofbräuhaus is not only a brewery, but it is also a butchery, making it a great place to try a number of the local sausage and pork specialities such as fresh veal sausage and wiener schnitzel. But you don’t need to be a sausage lover to dine here, the food menu also includes salads, soups, several kinds of bread, vegetarian dishes, and chicken, steak, and ox dishes. The drink menu also goes well beyond beer, and includes wine (even Champagne), spirits, and a wide number of cold and hot non-alcoholic drinks. 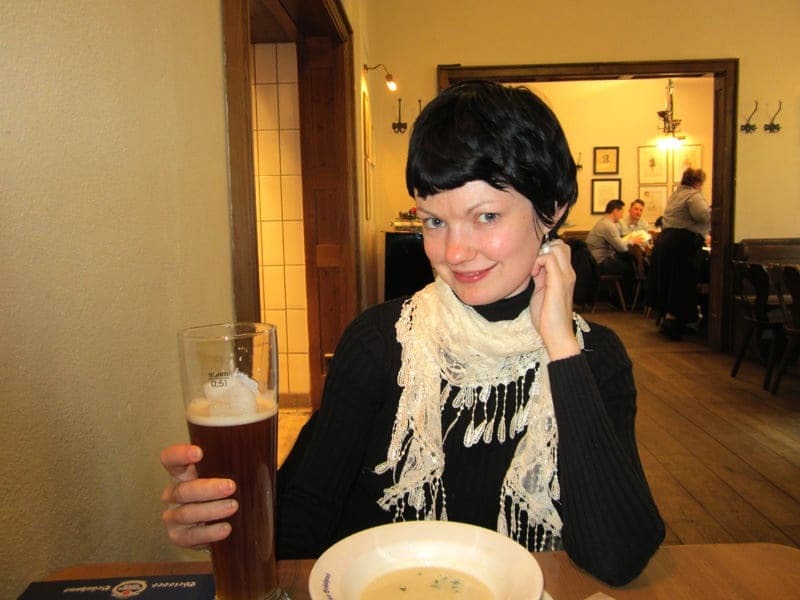 The beer choices include the original light beer (Hofbräu Original), original dark beer (Hofbräu Dunkel), a wheat beer (Münchner Weisse), a non-alcoholic wheat beer (Hofbräu Weisse alkoholfrei), and beers mixed with lemonade (Radler). We ordered the Hofbräu Dunkel (me), the non-alcoholic wheat beer (Ethan), soup, a bread basket, potato salad, and the Munich veal sausages (Münchner Weißwürste). Food was good and hearty, but you should definitely come here for the atmosphere and beer (I particularly liked the dark beer), not the food. For a free lightweight souvenir, we recommend grabbing a few of the printed cardboard beer coasters from the table. Before partaking in a liter and clouding any interest you may have in German history, we encourage you to walk around this historical building and visit the small museum area. To reach this free exhibition area (open daily from 9:00am to 5:00pm [9:00 – 17:00]), just head up the stairs located on both the right and left side of the performance stage in the upstairs Festival Hall. Here you can learn about the creation of the Hofbräuhaus, the introduction of food quality laws, the use of beer tokens, how Hofbräuhaus beer once helped saved the city from destruction by the Swedes during the Thirty Years’ War, and the role of Hofbräuhaus in both World Wars. Everyone from German kings to Mozart to Hitler (himself a teetotaler) to American presidents have visited the halls of this place and its history is truly fascinating. Also, don’t forget to look up at the ceiling of the Festival Hall as it has some lovely frescos. The building and halls have a historical feel, but don’t be fooled as the majority of the building is only about 100 years old as the original building was mainly destroyed during World War II. The place also has its own gift shop where you can stock up to your heart’s content on all kinds of apparel, postcards, knickknaks, and of course loads of various beer glasses, mugs, and steins. 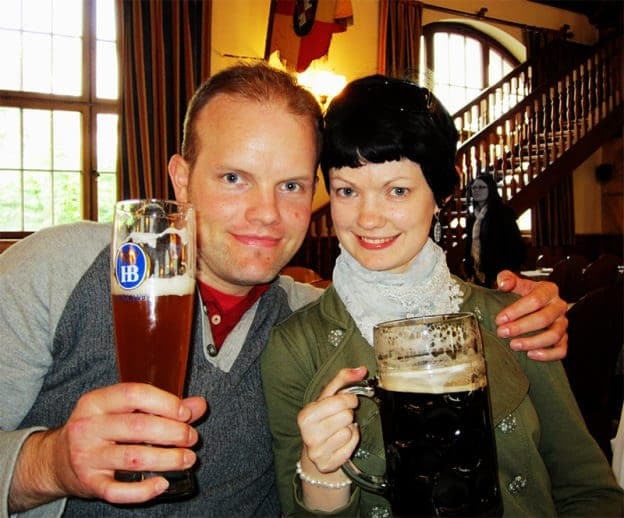 If after this you are interested in learning more about beer and Oktoberfest, you might consider a visit to the small Bier and Oktoberfest Museum in Munich which also happens to occupy the oldest house in the city center. 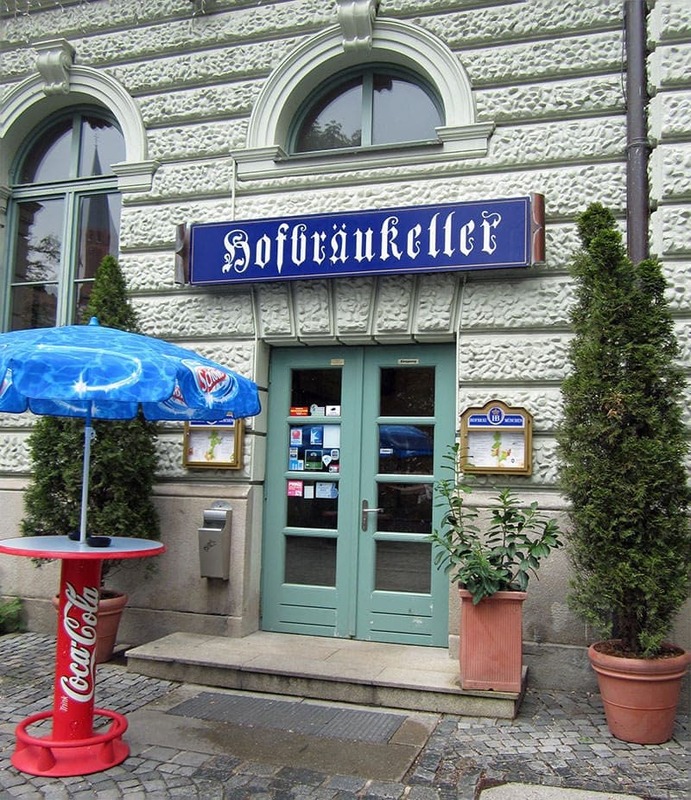 One last thing, you may be surprised to know is that there is another little-known Hofbräu location in Munich called Hofbräukeller which serves the popular beer and is owned by the Hofbräuhaus brewery. It is a traditional Bavarian restaurant in a cellar with a beer garden and even has an inn. This place has a lovely beer garden under chestnut trees that is lovely in the Spring and Summer months. It is not a popular tourist spot like the popular Hofbräuhaus am Platzl so a good place to go if you want your Hofbräu beer without a bunch of Asian and American tourists. Finally, there are several official Hofbräuhaus locations in the United States. Check out the Hofbräuhaus United States website for American locations. After you’ve drunk some liters and listened to the oom-pah band with a rowdy bunch of fellow tourists at the Hofbräuhaus, consider seeking out a less famous beer hall. As I already mentioned, even the Hofbräukeller owned by the Hofbräuhaus brewery is not a popular tourist spot. There are so many beer pubs and beer halls in Munich and rather than provide some sort of list, we’d recommend asking a local about some of their favorites. For instance, we were staying in a room booked through Airbnb in downtown Munich and our lovely hosts Christoph and Oliver recommended Weisses Bräuhaus for its food and beer. This place is well-known for its Bavarian wheat beer, and while we were by no means the only tourists, it was a totally different experience than Hofbräuhaus and included a lot more Germans. In the warmer months, we’d definitely recommend a visit to one of the city’s beer gardens which are often attached to a beer hall or pub. These originated in southern Germany when people needed a place to store beer over the warm summer months and placed the beer in underground cellars often under chestnut trees near the river. 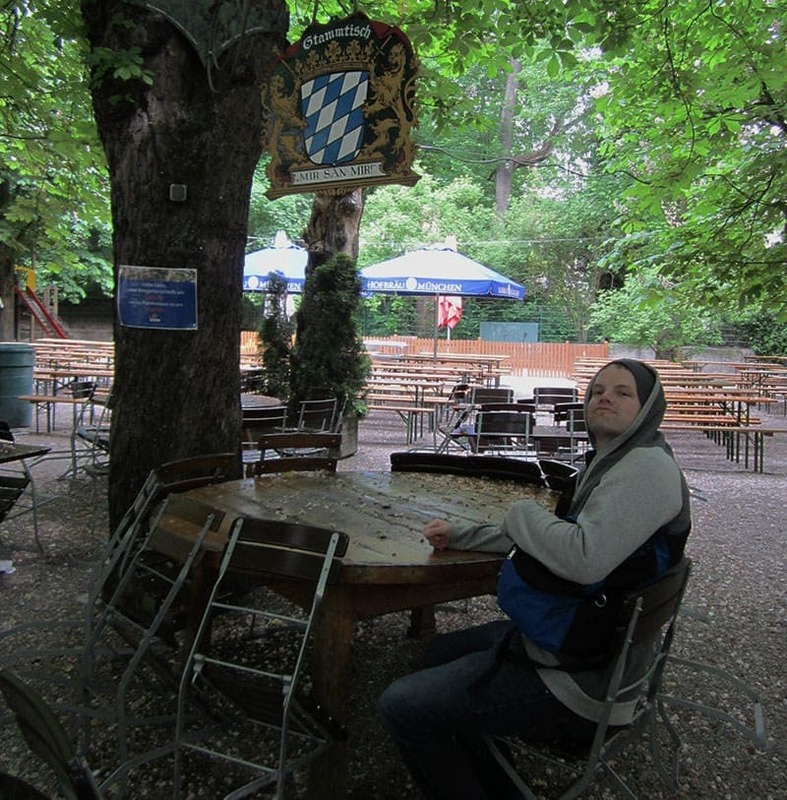 The largest beer garden in Munich, and probably the world, is Hirschgarten, but some are small with only a handful of tables. Many beer gardens serve food, but some more traditional ones may only serve bread and beer and patrons can bring their own food. Oktoberfest is huge and popular, but there are a lot of other smaller folk and beer festivals held all over Germany throughout the year. The second largest Bavarian festival is the Gäubodenvolksfest in Straubing, which is a festival similar to Oktoberfest with its own royal Bavarian history. The third largest beer festival in Bavaria is the Bergkirchweih in Erlangen which sports one of the largest open-air beer gardens in Europe. There is also the Barthelmarkt in Manching, which dates its history back to Roman times. 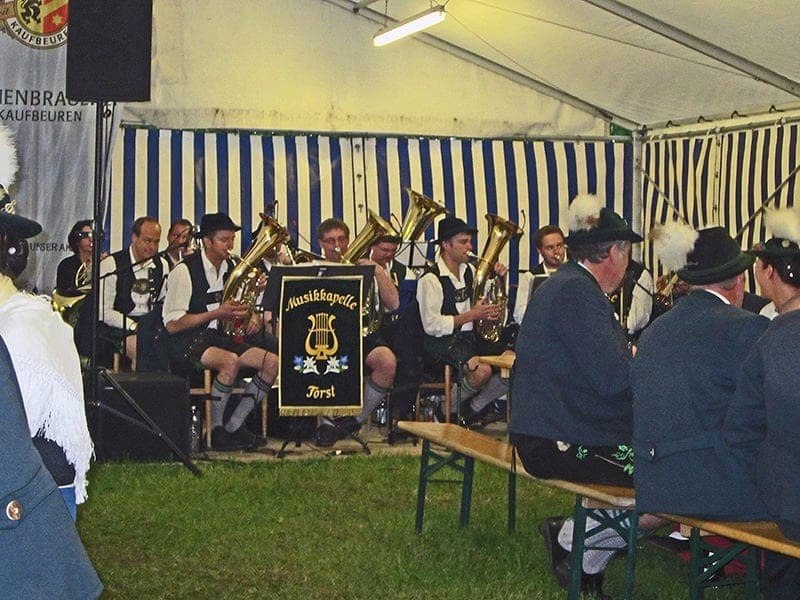 These festivals carry on a lot of folk traditions and one interesting beer tradition that takes place at some of these festivals is the kastenlauf. Here the tradition is to buy a crate of beer (20 bottles) and then walk to a certain point and by the end of the walk the crate should be empty. All of these beer festivals are less touristy than the super popular Oktoberfest, but you can also seek out even small local village festivals and public celebrations. Ask hoteliers, locals, and check out local city websites and newspapers for what is going on around you. One helpful website is the English-language Bavaria website that lists events and festivals throughout the Bavarian region, including wine and beer festivals. Ethan and I specifically wanted to seek out a small local festival and we actually stumbled upon one by accident one rainy day. We were staying in a farmhouse within walking distance of the beautiful Rocco-style UNESCO Wieskirche that sits in an area surrounded by picturesque farmland in the foothills of the Apls. 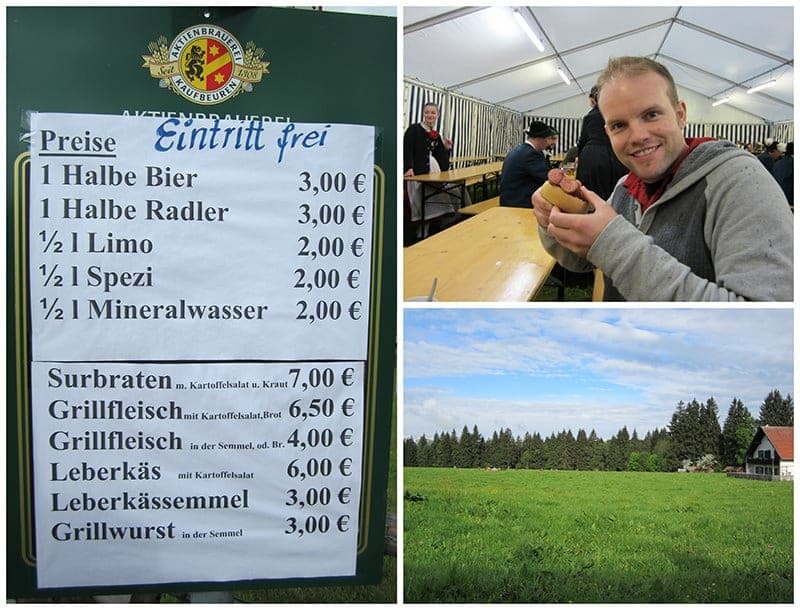 Here we were invited by our hosts to visit a local village festival in Steingaden that included farm animal showing, dancing, food, music, and lots of Bavarian beer! The beer was supplied by Aktienbrauerei. We were the only “strangers” but we were made to feel welcome anyway as we ordered beer, sausage, and later coffee (it was cold and raining) and joined everyone on picnic tables in a tent. 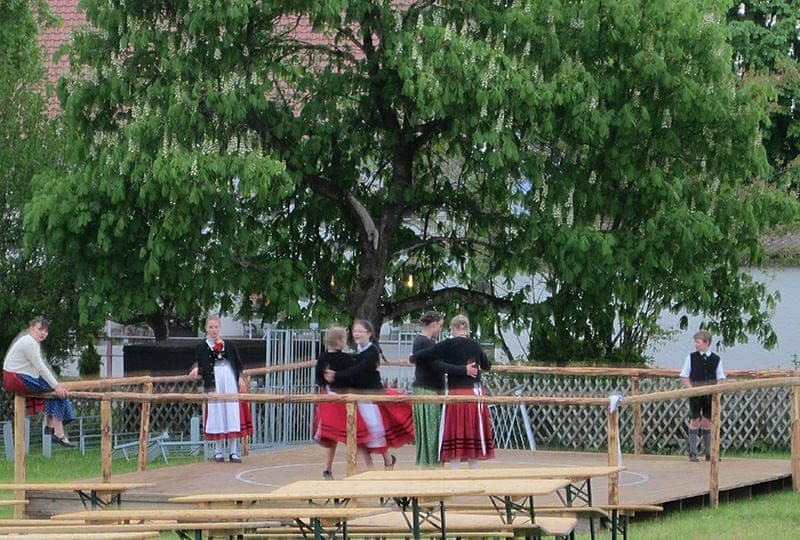 It was surprising that almost everyone else was outfitted in traditional Bavarian clothing. The local male band played a lot of music and several of the men even got up and danced on top of the tables! The younger kids danced and played games outside and there was some intense flirting going on amongst the teenage girls and boys who sat in large groups on opposite tables. It was a loud but fun evening. We think you could probably easily spend one tipsy year exploring the beer halls of Munich and tasting beer in Bavaria! However, you don’t have to limit your beer-seeking fun to Bavaria, other big German festivals and funfairs include the Cannstatter Volksfest (Stuttgart Beer Festival), Berlin Beer Festival, Hanover Schützenfest, the Freimarkt in Bremen, the Hamburger Dom, the Stuttgarter Frühlingsfest, the Cranger Funfair, and the Düsseldorf Funfair. Have you been to the famous Hofbräuhaus, partied at Oktoberfest, or gone searching for beer in Bavaria? Let us know your favorite spots or tell us where you’d like to go on your next trip to Germany. As always, if you have any questions about our time in Munich or Bavaria, just ask us! Thanks for sharing about German culture and history and also learning about the beer culture in Germany! Great guide to Oktoberfest! Missed out (again) this year, but definitely on my bucket list. Nice to also see that you can have the full on tourist experience or opt for something lower key and off the beaten path. Very good blog site. Our family is planning a 2 week visit in Sep 2015 and really appreciate your information., especially the Rhine Valley/ castle/ Hostel information. We read where hannover has a large Oktoberfest celebration. That is more on our route than the crowds in Munich. Are you aware of hannover or other good Oktoberfests in central or eastern Germany. after the Rhine River, we will make our way to Berlin. Hi Bill, I am so happy that you found our blog to be helpful in planning your family trip to Germany. I have not been to Hannover and focused mostly on beer halls and celebrations in Bavaria, but Hannover has a very large Oktoberfest celebration – apparently the third largest in the world and has been going for 50 years. It looks like the funfair will be happening during the time you are visiting and sounds like it would be fun for a family. I found a couple of websites that provide information about the festival, here (English), here (English), and here (official website for festival is currently only in German but can be translated to English with Google translate). Have a great trip to Germany and feel free to come back and let us know your thoughts on the Hannover Oktoberfest. Thank you for the quick response. We will make the stop in Hannover after leaving the Rhine/ Mosel River area and Cologne. Will be happy to let you know what we think of Hannover. 1 more question. Getting mixed signals about needing an International Driving Permit to rent a car in Germany. Do we need one? Hi Bill, sure happy to help. For a 2 week trip, a valid driver’s license from your home country should suffice for driving within Germany. It is only an issue if you planned to stay for 6 months or longer. You should just make sure that your rental car has an environmental sticker as these are required in many cities in Germany (environmental zones) including both Hannover and Cologne – most rental cars should have these already. We really enjoyed having a car in Germany as it definitely made traveling a bit easier, especially in more rural areas where there is limited train service. Have a lovely trip! Lovely photos, and great to hear about some of the less touristy beer halls. Grabbing a coaster is a great idea for a souvenir. 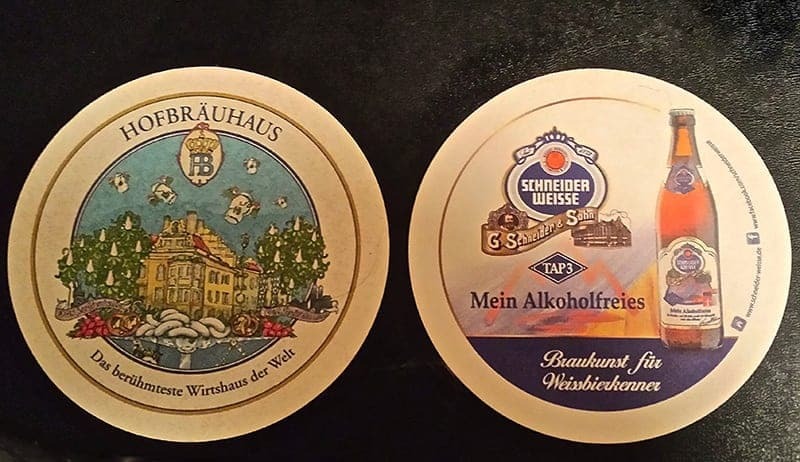 Yes, we still are using free coasters from the German beer halls:) Nice little reminders of our time in Bavaria. Wow, this is a great post! I am keeping it for when we go to Bavaria around Christmas. I would love to experience more than just the tourist spots and see how beer is woven in throughout the German culture, not just for the visitors. We almost went to Oktoberfest but it’s so expensive and so crowded it just didn’t seem worth it! Maybe someday but we’ll see. Thanks for sharing! Hi Camila – I love history so glad you found this informative and interesting:) Most people don’t really know that much about the origins of Oktoberfest. I’ve never been to Oktoberfest or Bavaria either (unless you count the airport, but that’s no fun). I’ve had plenty of opportunities to go, but I’ve kind of avoided the area because I hate massive crowds and when intoxicated, they’re even worse. Sometimes I wonder if I’m missing out though! I guess I should go to some of the lesser known ones in and out of Munich to see what it’s all about. Hi Adelina, hear you on the crowds. We typically avoid a lot of the larger festivals as well which is why I would recommend trying some of the smaller festivals in Germany if you do get the chance to visit Bavaria. The little local one we went to was a lot of fun and included all the traditional stuff associated with Oktoberfest without the crowds and tourists. Yes, Germany has many less touristy festivals throughout the year, both big and small. I would definitely recommend seeking one out next time you are in Germany. Oh my goodness, I was laughing so hard at that photo of Ethan with his head in the cutout of the old-timey photo. It took me a second to realize what I was looking at (and I don’t even have any beer in me). I am actually not much of a fan of beer, but I’m a HUGE fan of schnitzel and wurst. So, I imagine that I’d be able to keep myself quite happy at Oktoberfest. There is a big celebration in Penang which at one time had a huge German expat population. 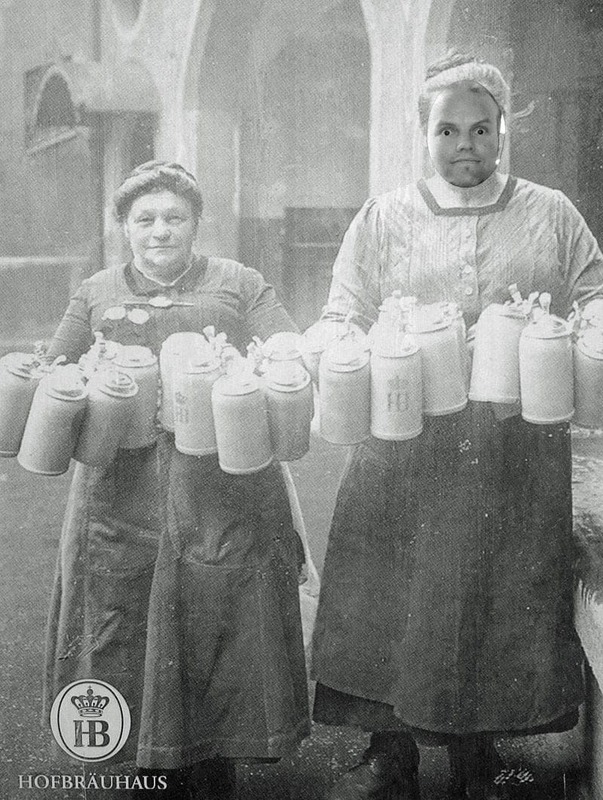 I’ve been to the Hofbrauhous, but it was decades ago. My biggest memory of my visit to Munich was the soccer riot I encountered soon after exiting the Hofbrauhaus. Steins were flying, and I think a door got ripped off a police van. What a fab write up! I have always wanted to go, although I don’t drink a lot. My boyfriend would really love it though! 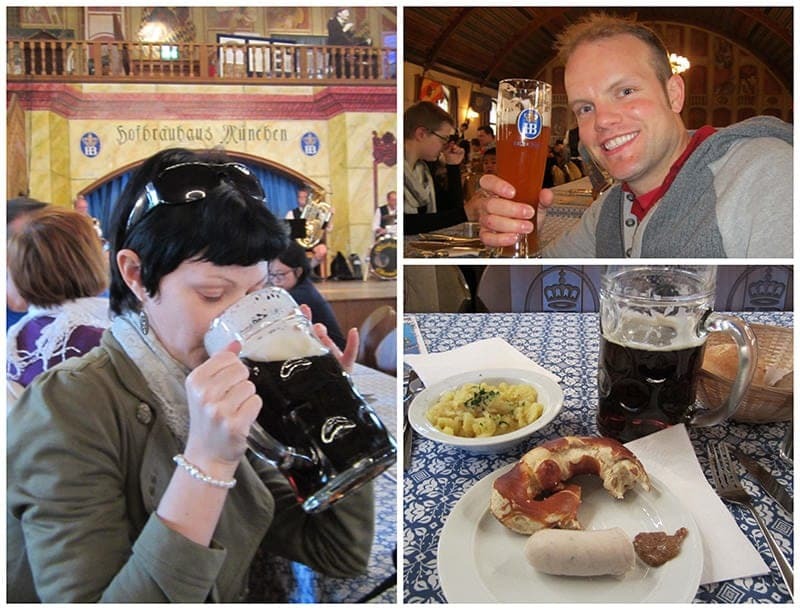 Mmmm a vacation centered around beer…yes, I will have to go to Oktoberfest next year! Loved all your tips. The Hofbräuhaus and Weisses bräuhaus both sound like great places to visit. Thanks Eva, hope you make it to Oktoberfest next year! Great write up of the Bavarian beer experience! And great advice about seeking out less well-known beer halls. I’ve only ever passed through Germany on the autobahn en route to Austria – but I would definitely like to re-visit. We had a great couple of weeks in Germany and I would love to return someday soon! Hi Iva!! The prices for German/European beers are a little less just because beer doesn’t need to be imported but its neither cheap nor expensive to get a beer. I am not a beer enthusiast by any stretch of the imagination and really enjoy the cultural connection here more than drinking beer, although I did discover I liked many of the dark beers here. This has to be one of the best write ups on beer houses and gartens that I have read in a really long time. I love that you are giving the suggestion to visit the lesser known Hofbrau location for a more authentic experience and give suggestions for how to find authentic festivals in the Bavaria region.. One thing I loved about living in Germany were the biergartens that would sprout up along the River Rhine during the warmer months. Thanks Sarah! We greatly appreciate the compliment given you have lived in Germany! Anything we missed that you think we should add? Yeah, I don’t think that most visitors know that there is another Hofbrau location in Munich – sadly, it was raining so we didn’t get to sit and have beer in the beer garden at Hofbräukeller as it was closed.